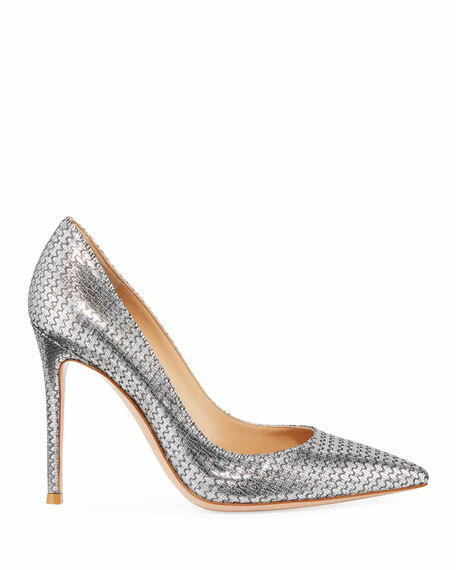 Gianvito Rossi pump in woven metallic fabric. 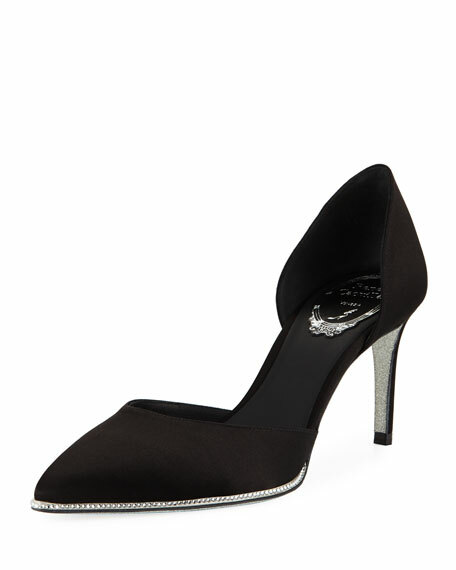 Rene Caovilla satin d'Orsay pumps with in crystal-embellished trim. 3" covered heel. 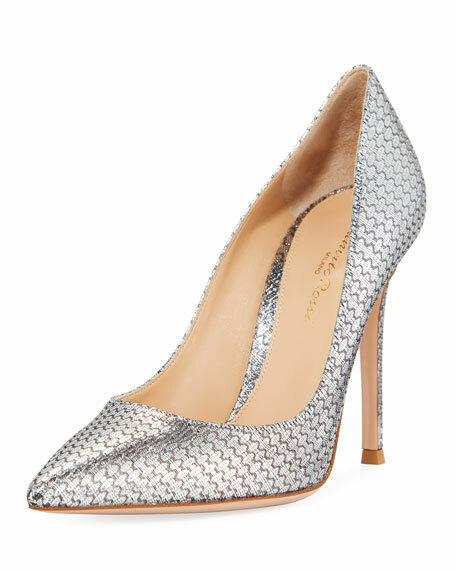 Pointed toe. Slip-on style. Leather footbed. 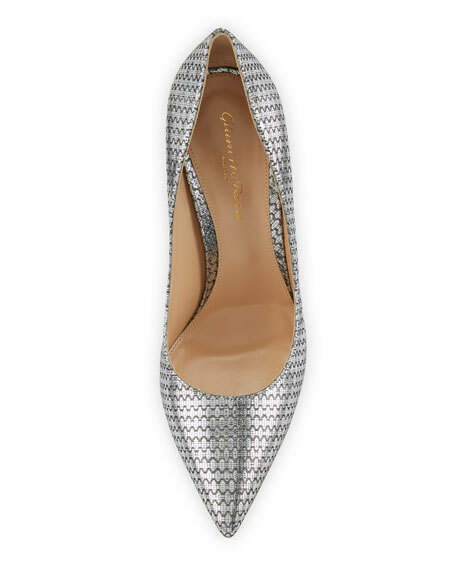 Signature glittered outsole. Imported. 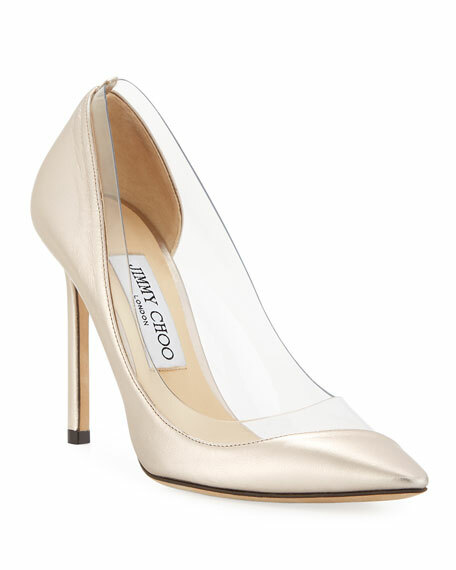 Roger Vivier "Belle Vivier" pump in clear vinyl and patent. 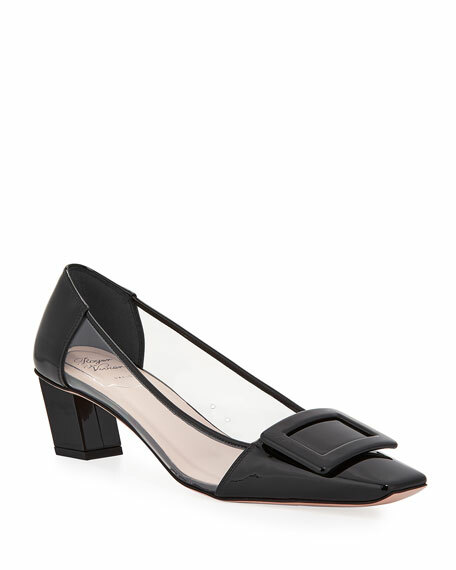 1.8" covered kitten heel. Square toe, topped with signature buckle. Leather lining. Slip-on style. Made in Italy.